OPENCACHING NORTH AMERICA • View topic - Rollcall for the Mountain Division! Rollcall for the Mountain Division! Re: Rollcall for the Mountain Division! Hey everyone in the Mountain Division. I'm Dustin (mugglekilla on here and gc.com) and I am a student at Montana State University in Bozeman, MT. I have been caching since March 2009 and I have found over 2,500 caches already (I know, I know, it's an addiction). I hope to place some caches in my neck of the woods on opencaching to get more active members in Montana. I have 38 caches placed on gc.com in the past year and I just submitted my first cache on this site (hopefully there will be many more in the near future!). Hi, I'm Mother Wolf & visit out in the Az & southern Nevada area often. Only problem is that although I registered with Nevada so I could go on the forums when Im going to be in the area the site doesnt seem to want to let me on. I log on but it will only list me as a guest. We have been Geocaching since Nov of 2004 and have just over 1500 caches now. We enjoy the out of the way geocaches and tend to not hunt the "micro" type of caches as the son part of the team likes to trade. We were duped at the beginning of the .com opencaching and set up an account there but don't intend to play there. This seems more our style. We hope to be part of the OCUS growing and hope to put out a cache on here to see how it goes. Welcome back to the forums. Welcome! Glad to have you (and your considerable experience) aboard! 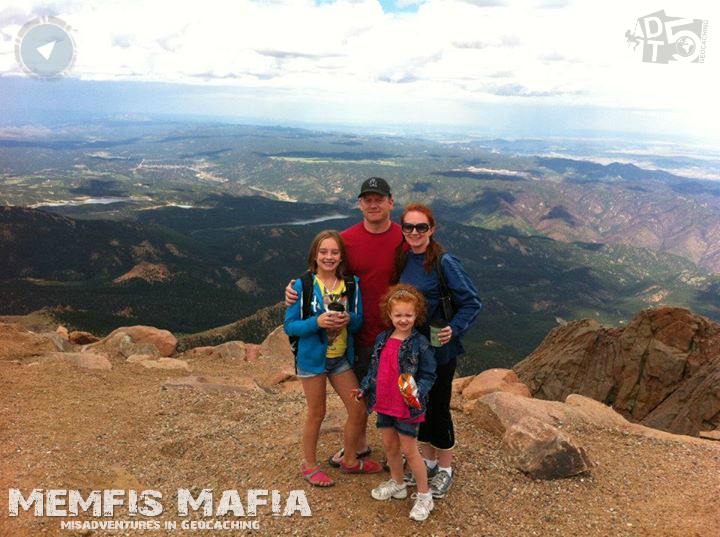 We are the Memfis Mafia, which includes a family of four - me, wifey, and my two daughters. We have been caching since July 2011. The short way to describe us is that we are travelers who discovered geocaching. Our favorite part about geocaching is finding new places. We much prefer to geocache while we are on the road. We have also tried other geolocation games like Munzee, Benchmarking and Ingress. Geocaching is by far our favorite. My personal favorite part of geocaching is hosting events and developing Wherigos. As far as finding caches, I always prefer and physical and mental challenge. I am a big fan of continually improving our process, whether that be through html on cache pages, puzzles, or hidden messages associated with trackables (i am a human trackable for gc.com). I feel that every cache should be better than the last. Now that we are getting more comfortable with Opencaching we will push the limits of our caches here as well. We are the Memfis Mafia. We are a family that likes getting outdoors and everything you find here will simply be about that. Our outdoor adventures take many forms – traveling, off roading, hiking, skydiving but mostly these stories are about our misadventures in geocaching as our way to navigate through life. On 10/19/2009, We were introduced to geocaching by a family friend. At the time we lived in Memphis TN and our first introduction to the sport was a lamp post cache at a local church. The cache has been around since 2009 and still has yet to receive its first favorite point. You get the idea. I thought the concept of finding hidden treasures was really cool but considering the weak start, I lacked in being able to explain it to the rest of the family. We didn’t find any more and the idea of geocaching faded away. It wasn’t until almost two years later on 07/01/2011 that after a move across the country to Colorado, we decided to give geocaching another try. I downloaded the app on my iPhone as we sat in a park and there was one very close by. The best thing that could have happened oddly enough was that we could not find the cache. This may sound silly but if you know our family you would understand. Not finding this cache was like issuing us a challenge. We went back to our app and looked for another cache. By the end of the month we had logged 58 smileys and were pretty well hooked. Since then we have jumped into many aspects of the game and have stumbled in one way or another. Our mistakes are generally made from a equal mixture of enthusiasm and inexperience. We have continued to participate in geocaching and some other similar off shoots ever since and have had a blast. This blog is an effort to chronicle our family successes and failures in our crazy adventures. While may of our adventures start with geocaching they often end in interesting and unexpected ways. Hopefully, the stories of our mistakes will help you not repeat the same blunders. Even better, we hope that our stories of the fun we have had will inspire you to get out there with your families and friends. All things, whether they be geocaching, board games, traveling to a new location – they are all better with family.